The 2009 Toyota Corolla is already appearing on dealer lots—if you find a 2008 Toyota Corolla you like, you may be able to strike a better deal on it, with the new edition already rolling out nationwide. If you need more cargo space, the Toyota Corolla Matrix is a five-door wagon based on the same running gear. The 2008 Toyota Corolla may be aging, but it’s aging well—though its engine can sound a little raspy. TheCarConnection.com’s car experts studied road tests of the 2008 Toyota Corolla to write this conclusive review. 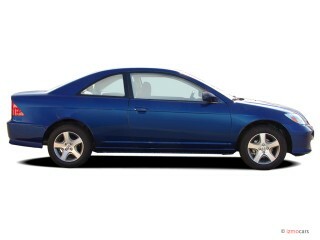 TheCarConnection.com’s resident experts also drove the 2008 Toyota Corolla to help you decide which reviews to trust where opinions differ, to add more impressions and details, and to provide you with the best information. Now that the Japanese automaker has added the Yaris to its lineup, the 2008 Toyota Corolla is the second least expensive car in its lineup (not counting the Scion cars). The 2008 Corolla is the last of its kind—Toyota is redesigning the car for the 2009 model year—and in its final year, the Corolla looks pretty much as it’s looked since it emerged in 2003. It’s modern, sober, and substantial, but hardly exciting or youthful. That feeling of sophistication carries to the interior, which is cleanly styled, easy to use, and surprisingly roomy. A standard 1.8-liter four-cylinder engine makes 126 horsepower in the 2008 Toyota Corolla. It gets a bit rough at higher revs and isn't quiet about its work, but it does deliver 28/37 mpg with the five-speed manual, and 26/35 mpg with a four-speed automatic. The MacPherson strut front and torsion beam rear suspension couldn't be more ordinary in specification, but it's poised, composed, and driver-blunder-resistant. The handling limits are rather low, but the Corollas run smoothly and quietly. Throw in decent front disc/rear drum brakes (anti-lock brakes are optional on the S and LE) and excellent rack-and-pinion steering, and this is as close to a luxury car ride and experience as any small economy sedan has ever. Standard on all cars is a 60/40 folding rear seat and a CD player; all sorts of power options are available, and some versions even have “wood” trim that doesn’t look too bad. Front-seat side and curtain airbags and anti-lock brakes with Electronic Brakeforce Distribution (EBD) are available as options for all model grades. The 2008 Toyota Corolla gets five star ratings in front crash protection from the NHTSA, along with four stars for side impact when outfitted with side airbags. The 2008 Toyota Corolla is the mature entry in the compact class. The 2008 Toyota Corolla will look very familiar to owners of older Corollas. With the Corolla, Toyota has left the styling virtually unchanged since 2003. The mild shape will be replaced in 2009 by a slightly more updated look, but in this model year, the familiar lines left reviewers from around the Web yawning. TheCarConnection.com’s editors drove the Corolla when it was new in 2003 and again in 2007, just before it was replaced by the new 2009 verison. The 2008 Toyota Corolla is modern, sober, and substantial, but hardly exciting or youthful. That feeling of sophistication carries to the interior, which is cleanly styled, easy to use, and surprisingly roomy. The 2008 Toyota Camry is no thrill ride, but it handles city driving with sheer competence. Much like the 2008 Toyota Corolla’s styling, performance won’t leave you breathless, but it is far more than adequate for a compact sedan. The 2008 Toyota Corolla delivers 28/37 mpg with the five-speed manual, and 26/35 mpg with a four-speed automatic. TheCarConnection.com’s experience leads to the same conclusion with the Corolla. Toyota’s MacPherson strut front and torsion beam rear suspension couldn't be more ordinary in specification, but it's poised, composed, and driver-blunder-resistant. The handling limits are rather low, but the Corollas run smoothly and quietly. Throw in decent front disc/rear drum brakes (anti-lock brakes are optional on the S and LE) and excellent rack-and-pinion steering, and this is as close to a luxury car ride and experience as any small economy sedan has ever achieved. 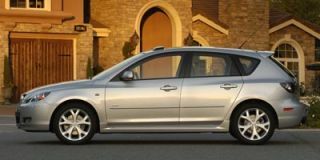 The 2008 Toyota Corolla has high-quality materials for the most part, but the engine drone and the seats aren’t comfortable for everyone. The 2008 Toyota Corolla maintains its reputation for quality, but comfort—particularly in the driver seat—is an issue. The 2008 Toyota Corolla scores well in crash tests—so long as it’s fitted with optional airbags. The 2008 Toyota Corolla gets good crash-test scores from the government and the insurance industry—provided the curtain airbags are ordered. In the 2008 edition of the Corolla, Toyota offers a respectable number of safety features that are mostly par for the course for its segment. Front-seat side and curtain airbags and anti-lock brakes with Electronic Brakeforce Distribution (EBD) are available as options for all model grades. The 2008 Toyota Corolla has fewer standard features and lacks some newly available options. The 2008 Toyota Corolla comes in three trim levels with varying degrees of standard and optional features. BusinessWeek notes that some high-end options aren’t available, including leather. A navigation system is also not present, nor is Bluetooth connectivity. 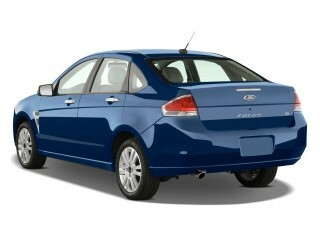 “Cruise control, a moonroof and a JBL audio system with an in-dash six-CD changer are optional,” Cars.com notes.